Manuel Antonio, on Costa Rica´s Central Pacific Coast is known for its key landmark – the Manuel Antonio National Park which features rugged rainforest, white-sand beaches and has the most impressive biodiversity in the entire country. 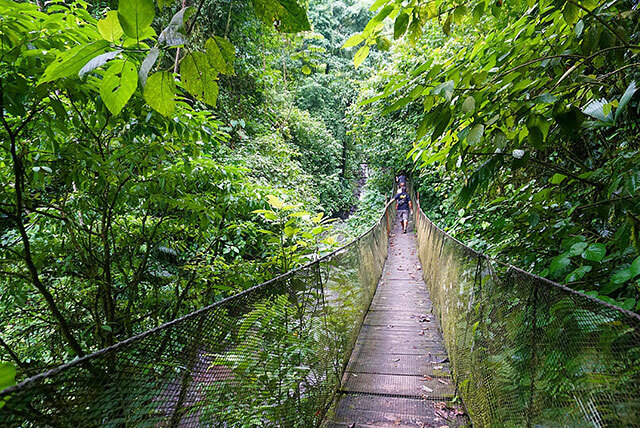 From three-toed- and two-toed sloths, to three monkey species and hundreds of bird species this national park impresses with a vast variety of wildlife and tropical plants. 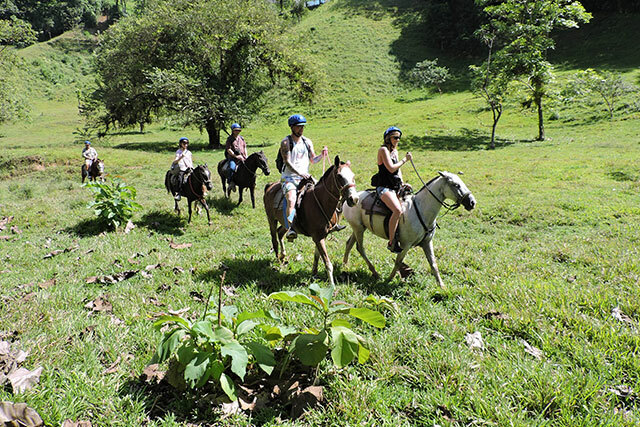 Besides the National Park, Manuel Antonio offers 19 of Costa Rica´s 22 signature activities. Which adventure are you adding to your agenda? Manuel Antonio is home to the most visited National Park in Costa Rica and ranked one of the Top 12 National Parks in the World by Forbes Magazine in 2011. This park is famous for its amazing Fauna and Flora. Within a short walk you will have the opportunity to see three species of monkeys, two species of sloth, and a large variety of wild life. 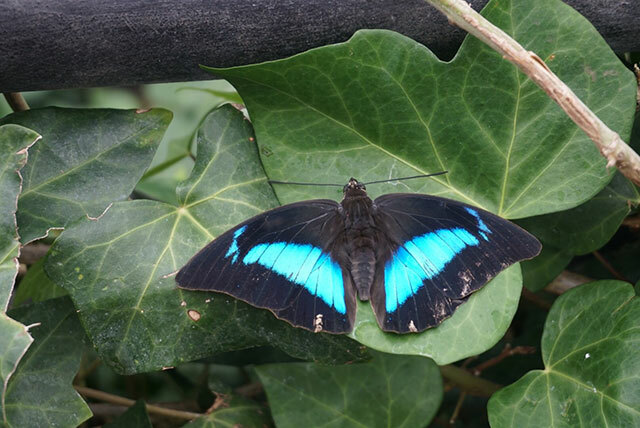 A visit to the park during your stay in Manuel Antonio is a must-do! 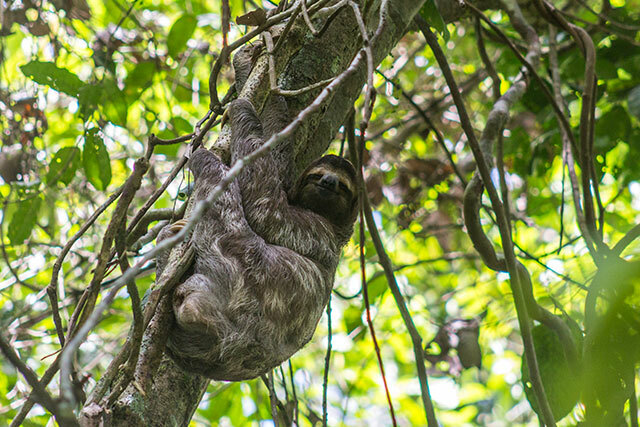 The nature reserve at GAIA is land set aside for the conservation of local species as two-toed- and three toed sloths, three monkey species, raccoons, iguanas and a variety of bird species. 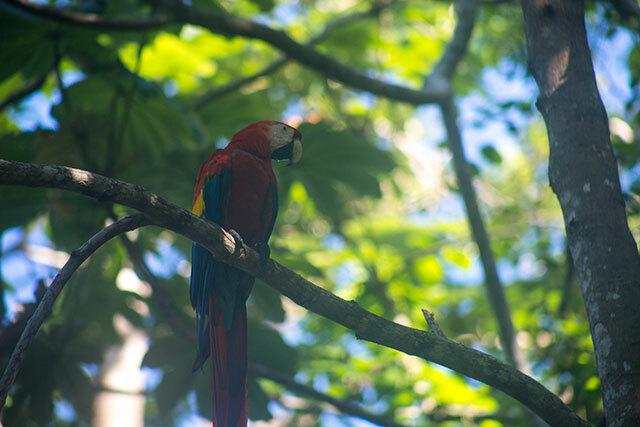 It also hosts the reintroduction program of the Scarlet Macaw which is sponsored by GAIA and government-supervised. You will learn everything about the program led by our certified naturalist guide. 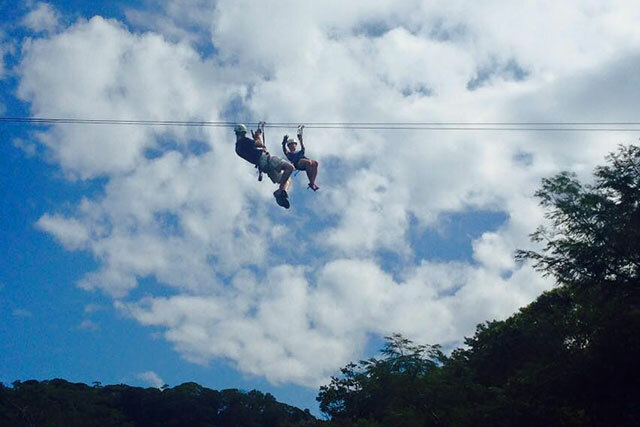 Glide through the trees of the tropical Costa Rican rainforest with the sound of howler monkeys in the background! 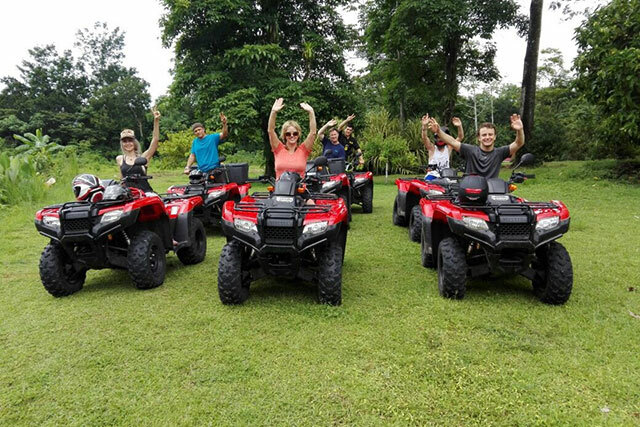 Experience this adventure to the fullest as the tour operator provides the newest and safest equipment in the Manuel Antonio area. What to bring: We recommend shorts, tennis shoes or strapped sandals, camera and sunscreen. Start your engine and let the adventure begin! 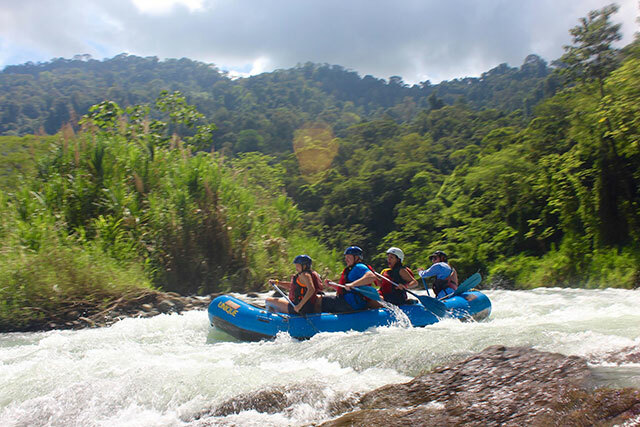 This tour of approximately 4 1/2 to 5 hours total duration, takes you over mountain streams, passing through teak plantations, African palms and other local farmlands along the Rio Cañas all the way to splash at the end in a natural waterfall to cool off. What to bring: Wear long pants and comfortable hiking shoes, as the tour involves some walking to the waterfalls. Take your swim wear if you like to enjoy the waterfall pools. This tour begins with a river walk along the Rio Seco’s edge. Hand rails and easy to follow footpaths along with observation platforms and hanging bridges allowing you to observe waterfalls and capture the rich biodiversity this unique site has to offer. At the end of the walk a pristine waterfall pool will beckon you to enjoy a refreshing dip. Sail down the coastline of the Manuel Antonio beaches and National Park and experience Dolphins in their natural habitat. 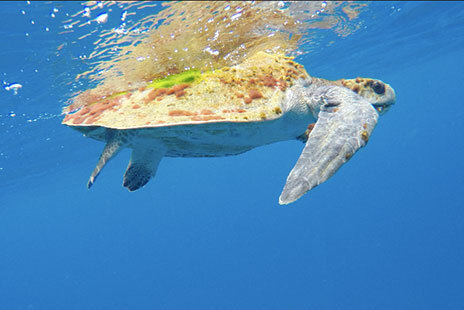 Afterwards get refreshed and experience colorful fish species by snorkeling in the secluded bay of Biezans followed by a delicious and typical Costa Rican meal back on board. Includes: Transportation, bilingual guides, drinks, a light lunch or dinner & snorkeling equipment. Beach, Sun and the Surf´s up! 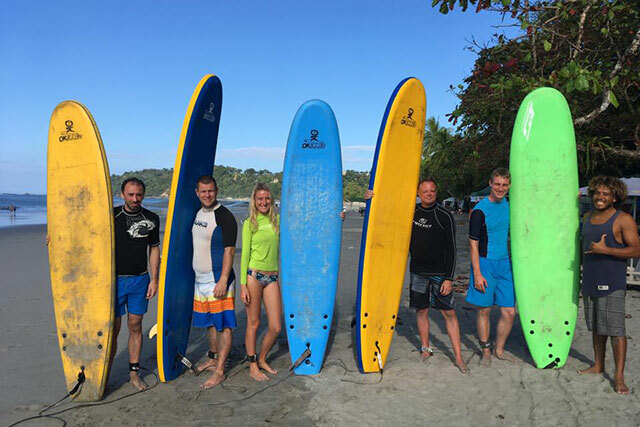 The Manuel Antonio beach offers perfect conditions to learn how to ride a surfboard and depending on the tides offers as well great settings for more experienced surfers. Available pick up times: Departure times depend on tides, your private concierge or our front desk will assist you to schedule your lesson. Every Friday afternoon we invite you to a cultural walk to learn about the history of Quepos and enjoy the local and lively Farmer´s market on the waterfront of the village. 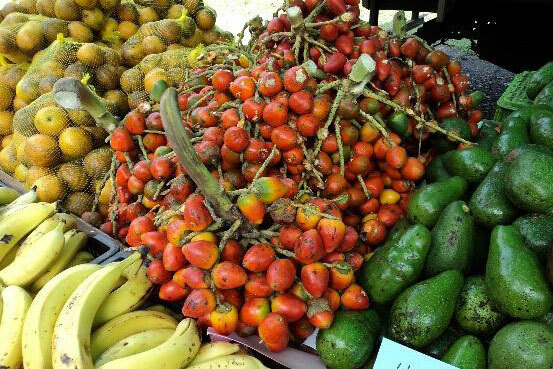 Taste exotic fruits and other local specialties. What to bring: Wear a comfortable walking shoe and apply sun block. Hold on to your paddle while you take waves of class III rapids and the adrenaline pumps. This tour is for adventuresome beginners or experienced rafters. 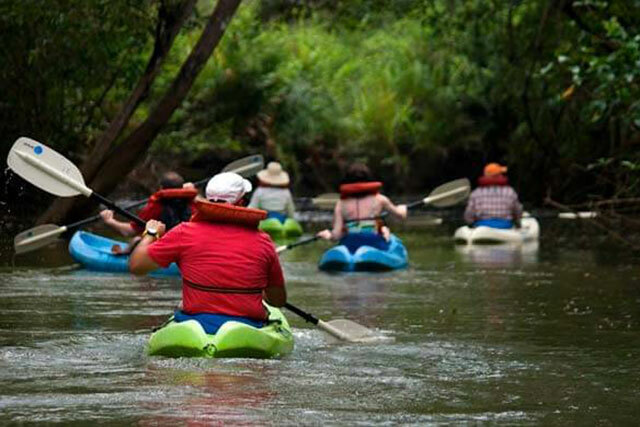 The Savegre River will take you along canyons, waterfalls and through the tropical primary rainforest of Costa Rica. As relaxing end point you will be able to visit the pools of a natural waterfall if you did not yet enjoy enough water splashes. Also inquire your Private Concierge about tours on the Naranjo River as alternative. Available pick up times: 7:30 am as well as 1:30 pm during high season only. Mamá Cacao is a small-batch, artisan, Costa Rican chocolate company founded by Juliet Davey. 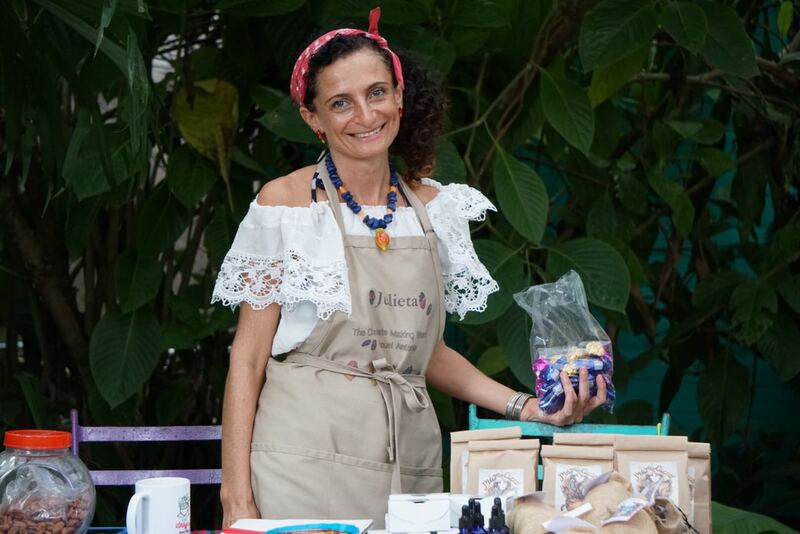 Besides the deliciousness of her chocolates, Mamá Cacao offers hands-on chocolate making workshops. Using ethically-sourced, organic and local cacao beans, you are guided through a hands on chocolate experience where you get to learn, smell, taste, & compare. From roasting cacao beans to making your own fresh truffles this workshop is for anyone with an appreciation of fine-quality chocolate. Classes begin at 2:30pm or inquire with reception about an alternative time. A Wildlife Refuge serving as great example of sustainable development researching and developing nature exhibits to help reproduce local species in danger of extinction, including orchids, bromeliads, reptiles (including caimans and crocodiles), and various butterfly species. Includes: Guides are available in English and Spanish. Available pick up times: This one-hour tour is available from 8:00 am until 3:00 pm daily, leaving every hour. GAIA can arrange for your transportation. Includes: Transportation, guide, equipment, life vests and lunch or dinner. Available pick up times: Departures for the mangrove boat or kayak tour depend on the tide. Please consult your Personal Concierge. The tour takes an average of 4 hours. What to bring: We recommend sunscreen, waterproof camera, insect repellent & tennis shoes or closed sandals. Famous for having Costa Rica’s largest concentration of coral-building organisms along the Pacific Ocean, Caño Island Biological Reserve plays host to schools of tangs, jacks and needlefish, boring sponges, diadem sea urchins, sea cucumbers, crustaceans, parrot fish, puffers, damselfish, large schools of barracudas, tunas, and moray eels that present an ever-changing panorama to those who venture below the surface for some of the best snorkeling and scuba diving in Costa Rica. Snorkelers and divers spend hours below the ocean’s surface investigating the variety of life found among the Porites and Pocillopora coral reefs. A speedy and fun tour! Spend approximately 2 hours touring the small islands and the coastline of the Manuel Antonio National Park. You can also stop for swimming and snorkeling at the secluded bay of Playa Biezans. This tour fulfills all safety requirements and provides brand-new equipment. Available pick up times: 7:30 am, 10:30 am with additional departures at 1:30 pm during high season only. 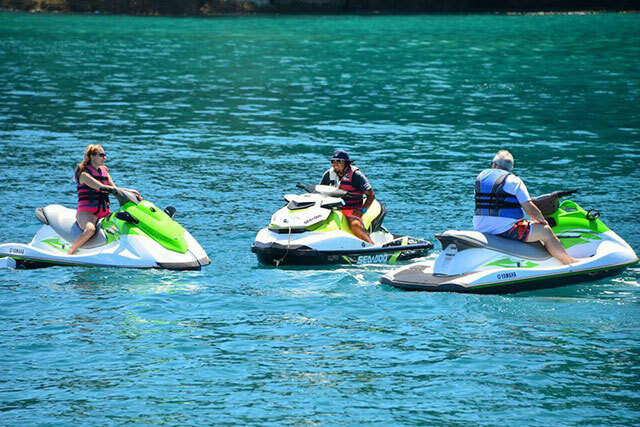 Enjoy fresh-water, salt-water, offshore or inshore fishing all available from Quepos. No matter if experienced or newbie with the right crew you will have a fantastic experience. The waters of Quepos are some of the richest you can encounter. 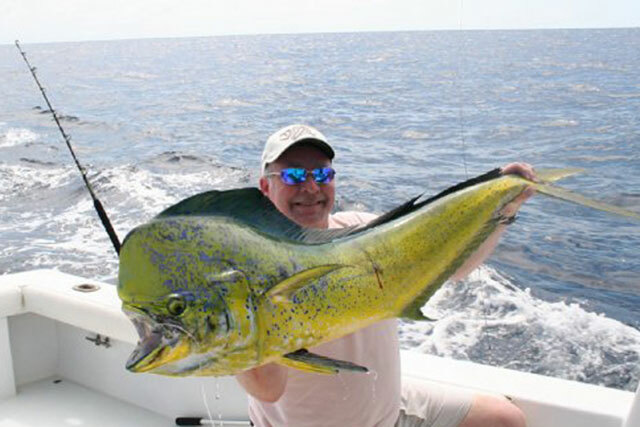 Offshore Dorado or tuna are common catches while the list for inshore fishing could include rainbow runners, snooks, snappers sierra and chub mackerel and much more. Includes: Boats are fully equipped with light and heavy tackle, full electronics and a six person max occupancy. Lunch, snacks, water, soft drinks and beer during the charter are provided. What to bring: Sun block, hat, sunglasses, long shirt to protect you from the sun, towels (provided by GAIA), money to pay for fishing license at the Marina. At Manuel Antonio Bee Farm tour the visitors will have the opportunity to get to know several species of the native stingless bees, as well as the bee specie “Apis mellifera”. All species that are located in our natural reserve are essential for pollinenization of flowers and we work conscientiously to prevent the extinction of these precious insects. 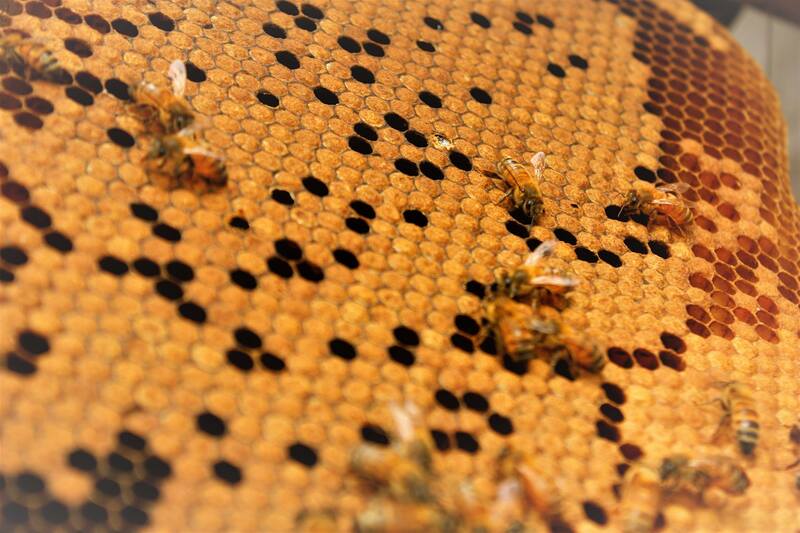 In the same time we produce 100 % natural honey products and cosmetics in harmony with the bee’s natural habitat at our bee farm. What to bring: Shorts, Tennis shoes, Camera and Sunscreen.